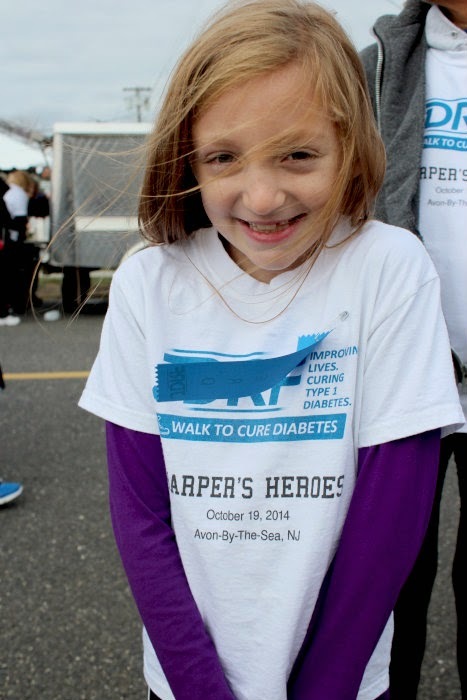 Yesterday was the 2014 Jersey Shore JDRF Walk to Cure Diabetes in Avon-By-The-Sea, New Jersey. I was a little late getting on board since this was our first year participating in the walk, but I pulled off putting a team together. 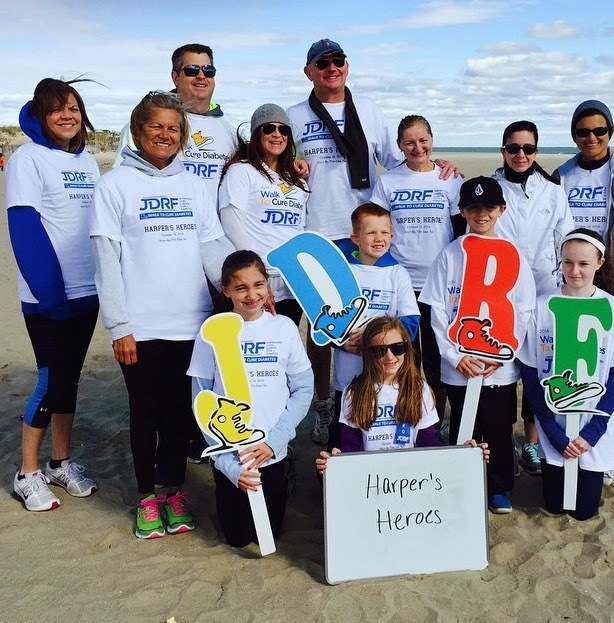 And...the best part is our team, Harper's Heroes, raised $1,620 towards finding a cure for type 1 diabetes! THANK YOU if you donated, if you walked, if you sent an encouraging message. I wasn't sure what to expect in terms of how crowded the walk would be. This is the first year that the walk was combined to include 2 counties. Once we arrived and navigated the crowd to find the registration tent, things went smoothly. We checked our team in and grabbed a few t-shirts. It was crowded, but the crowd was so excited. Everyone was so pumped and thrilled to be part of such a worthy cause. And when you see the type 1 diabetics walking around proudly wearing their blue ribbons, you can't help but to feel empowered. 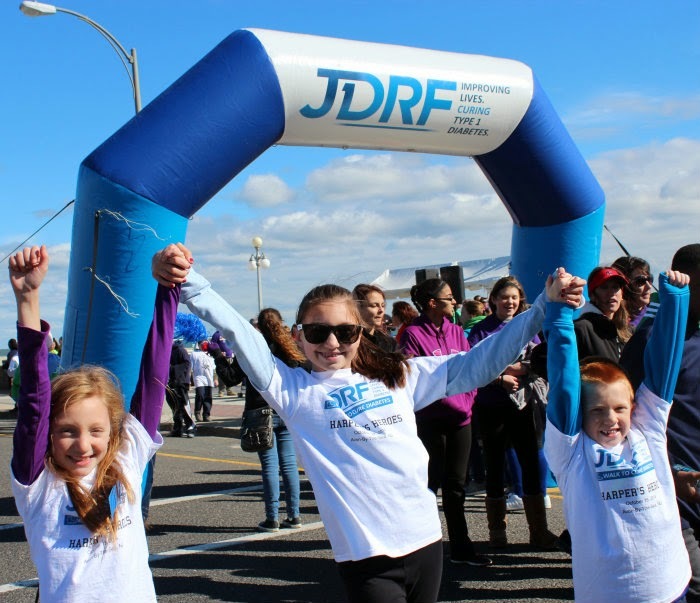 Empowered to help change the future landscape of juvenile diabetes. We had an awesome team comprised of friends and family. Here's a shot of everyone huddled together to stay warm at the starting line. The walk was 2.32 miles and took place on the boardwalk or beach, where the kids preferred to walk. The energy was infectious. I loved seeing all the creative team t-shirts. We've already starting planning our tee for next year's walk. 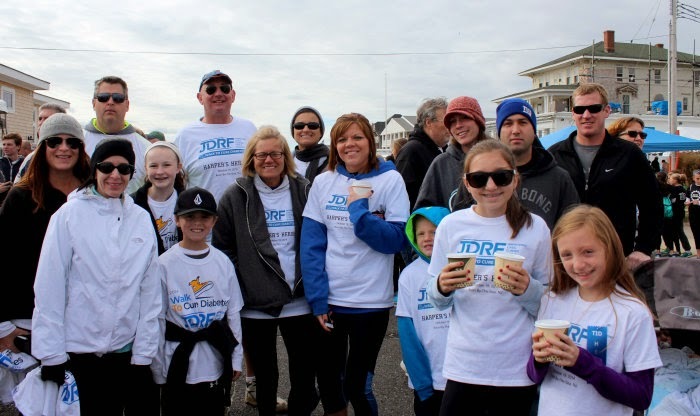 Type 1 diabetes is a disease that requires the support of everyone around you, and it was definitely obvious at this walk that there is plenty of support and commitment in the community. I feel fortunate to have a fantastic team of people supporting Harper and our family. 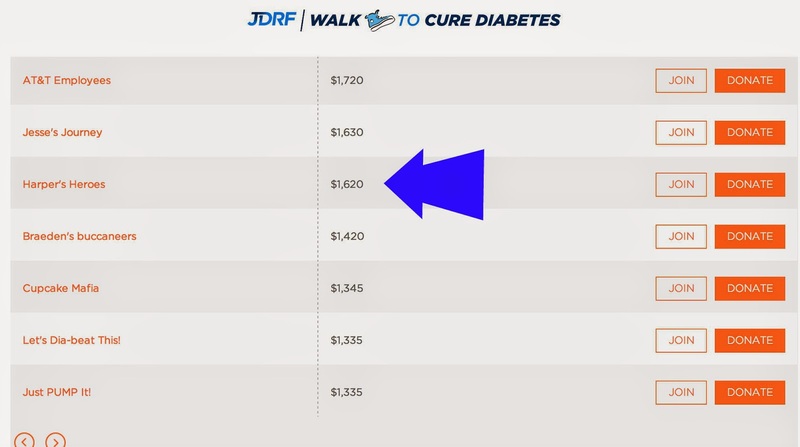 For more information about JDRF (Juvenile Diabetes Research Foundation) or to donate or find a walk near you, click here.